For a more bespoke gift why not have a loved one or pet drawn onto the glass. If you are interested in having a christmas ball drawn send Emily a photo and she will send a proof of the line drawing created before painting it on to the Bauble. 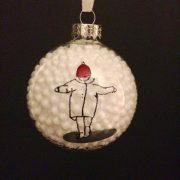 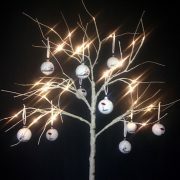 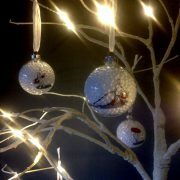 The commissioned bauble drawings are £10 plus postage (£5), however collection is recommended. 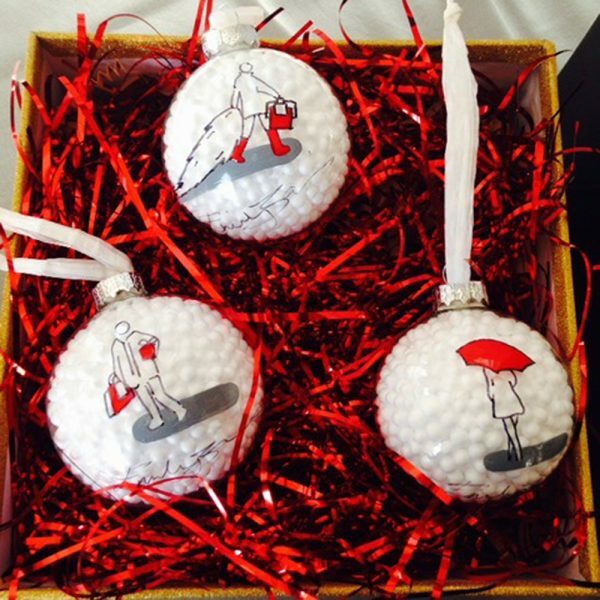 Each individual ball comes with an ivory gift box and red ribbon ready to parcel up as a present. Orders after 16th December may not be able to reach their destination before Christmas Day 2016! 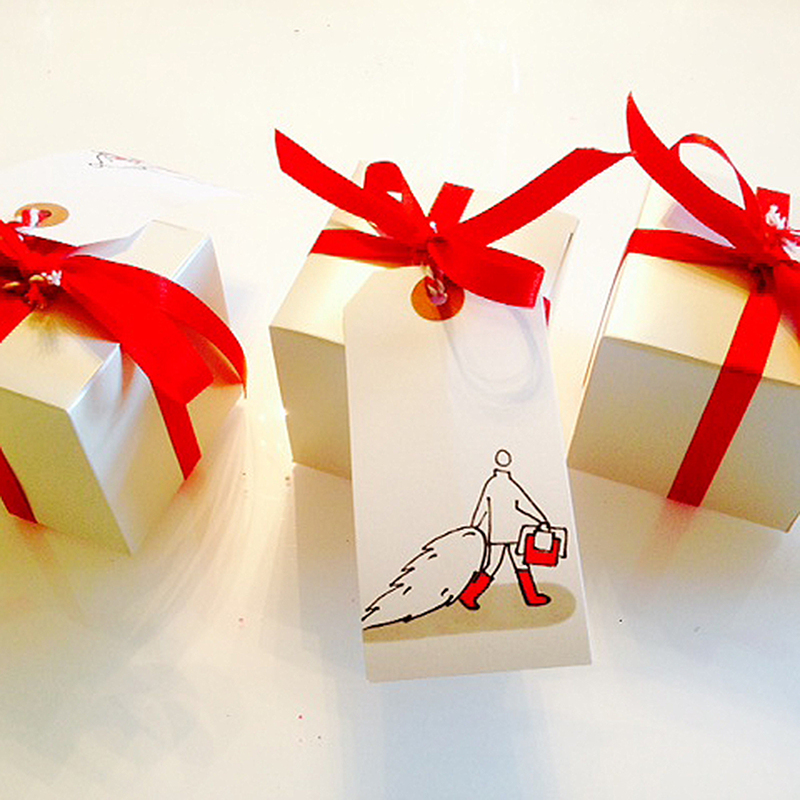 For a more bespoke gift why not have a loved one or pet drawn onto the glass. If you are interested in having a christmas ball drawn, send Emily a photo and she will send a proof of the line drawing created before painting it on to the Bauble. The commissioned bauble drawings are £10 plus postage (£5), however collection is recommended. 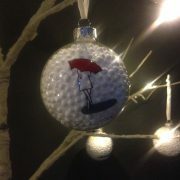 Please contact Emily directly to place an order for this. 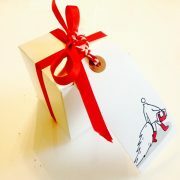 Each individual ball comes with an ivory gift box and red ribbon ready to parcel up as a present. 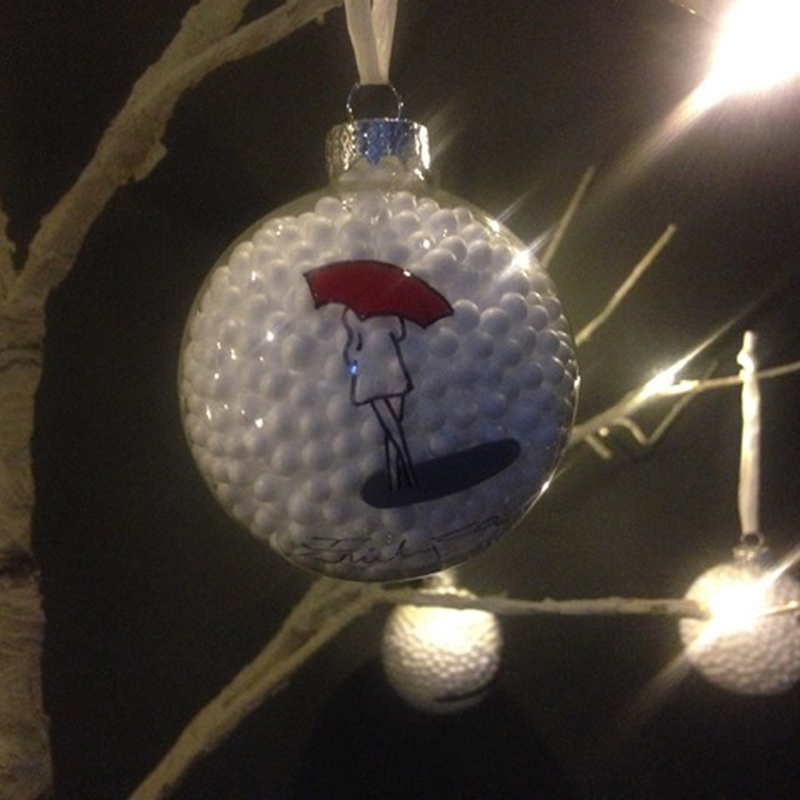 Orders after 16th December may not be able to reach their destination before Christmas Day 2016!